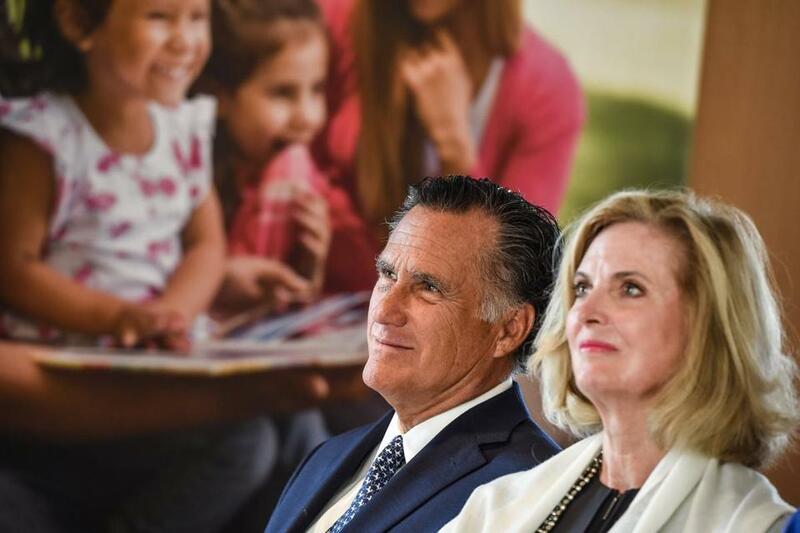 Mitt Romney and Ann Romney attended the press presentation of a newly constructed Mormon temple near Paris in March 2017. WASHINGTON — As Mitt Romney considers whether to run for an open US Senate seat in Utah, the person who can most influence him is encouraging him to get into the race: his wife, Ann. Ann Romney — a confidante for nearly all of Romney’s adult life and frequent catalyst for his political ambitions — is fully supporting a campaign for Senate, another strong indicator he will run, according to four people close to the Romneys. Her own battle with multiple sclerosis is not a major factor, with all signs indicating that her health remains strong, the people said. “Notwithstanding the meanness of the political game, particularly in D.C. with Trump, [she thinks] the right thing to do is run, go serve, and your voice is needed,” said a third person. The treatment was successful, and the issue is not expected to have a bearing on his decision whether to run for US Senate in Utah. One reason Ann Romney is behind the bid, the people said, is that she, like her husband, is alarmed by President Trump’s style of politics and his rapid takeover of the Republican Party. She also is concerned that the Senate could soon lack strong, civil, moderating voices, given several retirements, as well as the failing health of Senator John McCain, who has been diagnosed with brain cancer. Those close to Romney view McCain as somewhat of a model for the type of senator he would be, willing to forcefully challenge Trump in some cases, while attempting to find common ground with the president on others. 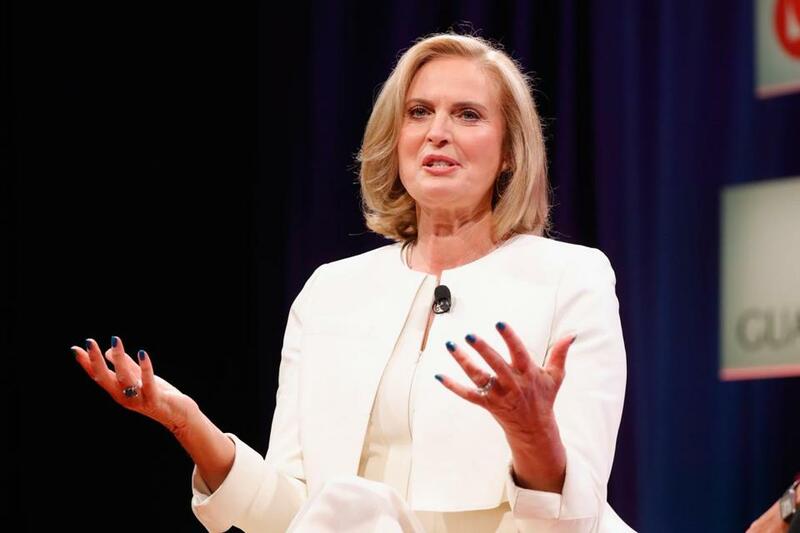 Ann Romney spoke at the Fortune Most Powerful Women Summit on Oct. 10. “With Ann, it’s somewhat because of McCain’s problems and the feeling that Mitt would be someone who would add a lot to the mix in D.C.,” one of the people said. Romney and some within his close-knit circle of advisers were surprised last week when Senator Orrin Hatch, 83, announced he would not run for reelection. Although Hatch had initially encouraged Romney to seek the seat, in December he seemed to be heeding the pleas of Trump — who prefers Hatch over his frequent nemesis Romney — to run for an eighth term. Hatch’s announcement on Jan. 2 set off deliberations, with Romney consulting with his tight-knit circle. Romney is unlikely to make any announcements over the next week or two, according to those who have spoken with him. Part of the delay is caused by an unrelated turn of events in Utah. While many of his friends have been encouraging, particularly those in Utah, it is his family whom Romney typically relies on most for guidance. Ann Romney’s behind-the-scenes encouragement of her husband’s political ambitions — his run for senator in Massachusetts in 1994, for Massachusetts governor in 2002, and his two bids for president, in 2008 and 2012 — has been a steady aspect of his career. She has recounted how one morning in 1993 she grew frustrated about his complaints about Senator Ted Kennedy, nudging him into his first race with an argument that she may well be turning to now. Romney, pulling the covers over his head, said he didn’t want to do it. Nevertheless, he did it (and lost), after his wife appealed to his spiritual side, to his sense of obligation, and to his family’s political legacy. As his five sons grew older, he leaned on them as well. The family in 2006 took a vote on whether Romney should run for the Republican presidential nomination, which he lost to McCain. The vote was unanimous. But the political campaign took a toll on a family that largely tries to keep a sunny outlook on life and public service. Four years later, the family gathered again and took a vote on whether Romney should run in 2012. Ultimately, in her telling, Mitt Romney got on board. But after he lost that race, the family seemed to be finished. And while Mitt Romney had a brief flirtation with considering a 2016 presidential bid, he ultimately decided against it. As she has in the past, Ann Romney has played a role of encourager. There has been no family vote, but there certainly have been discussions. 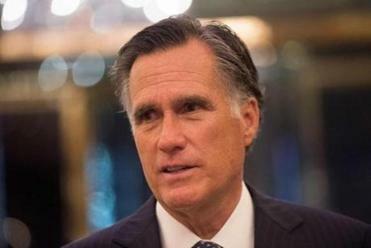 Romney would likely face little challenge among Republicans for the nomination, and he would be heavily favored to win the general election in a state that hasn’t elected a Democratic senator since 1970. “The family is 100 percent supportive,” said one source close to the family. Romney has listened to some of the debate among his family members. His life is pretty appealing right now. He’s basically retired, dividing time among homes in California, Utah, and New Hampshire and enjoying his grandchildren. At 70, he is free to work on projects of his choosing — supporting nonprofit causes or helping his sons with their business ventures — and weigh in on day-to-day politics whenever he wants. Any television producer would be happy to have him on, and his Twitter and Facebook messages tend to gain national traction whenever he wants it. But those close to Romney say that he feels he has something to offer, and that he can bring a moral foundation to a politically toxic environment. An open Senate seat was not exactly something he was searching for, they say, but the opportunity arose and he is sensing that he should take it. Ann Romney’s health is also not a major factor, according to the sources. She has spoken and written about her daily struggle with multiple sclerosis, and the toll that past campaigns have taken on her. “She is doing really well and has learned how to manage her time such that campaigning doesn’t become too much for her,” a person close to the family said. Campaign travel throughout Utah would be far less arduous than the presidential campaign travel she did in 2012. She has been skiing and competing in horseback riding events, which grew out of therapeutic riding that helped her deal with multiple sclerosis. As Romney eyes the election, he is thinking about what his campaign themes might be, and how to make the case for Utah voters that they should send the former Massachusetts governor to Washington. Those around him know that it could be one of the easier campaigns he’s ever run.